For any company that is heavily invested in information technology, it is inevitable that cloud computing becomes a dominant feature of its IT architecture. This is completely in line with the steady march of cloud servers into the tech sphere, where they seem to be taking over almost everything – due, as examples, to their premier ability to aid business continuity as a primary feature of disaster recovery. There are, of course, other important features of cloud monitoring and general computing that precede the need to recover after a catastrophe. In the following article, we outline five of the most important reasons. Of course, the speed with which cloud-based server monitoring can be set up is dependent on your IT infrastructure already being or, at least, in the process of being on the cloud. Don’t mistake this promised speed to be similar to the initial difficulty in setting up the prerequisites; after all, it might have taken you some time to identify and integrate business critical applications into the cloud in the first place. Once the above identification and migration has been completed, however, then you could be up-and-running in mere minutes with cloud-based server monitoring, specifically. Since cloud monitoring for a previously-existing cloud-integrated infrastructure already possesses the pre-configured steps needed to facilitate future additions/alterations, routine maintenance of the the system is quite easy. Since you’re using enterprise’s robust servers, you don’t need any costly hardware, yourself, which also negates the need for constant patching and system updates in the months to come. All of this is done on the back-end by system administrators with huge, enterprise-level resources at their command. Business generally face two kinds of possible growth: that which occurs organically, and that which happens via mergers and acquisitions. 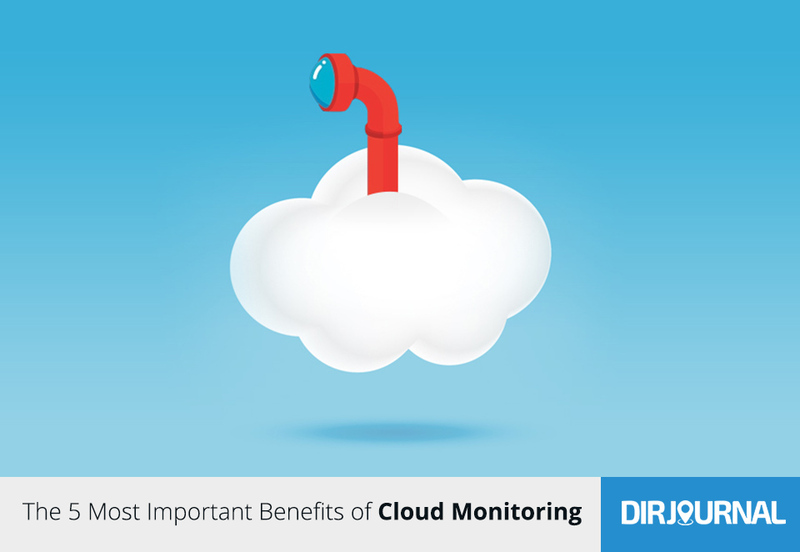 With either one of them, you’ll need extra resources in the cloud monitoring space as time wears on. Luckily, most servers operate on an “on-demand license provisioning” model, which allows you to simply add more licenses to whatever service package you already have, as needed. This location-independence is especially useful with the ubiquity of smartphones and tablets. Now, you can leverage cloud-based server monitoring to view the details of your web-based dashboard at any time of the day; around-the-clock – as long as you have an internet connection. And, since the nature of the console management is outsourced, you needn’t concern yourself with complex software installations. Additionally, the remote management capabilities you now have lets you view workstation health at a glance, and send queries to the servers via the management console when necessary. They help keep costs way down, in fact. Imagine having to set up your own network; when doing so requires skills that aren’t in the toolbox of your employees. You would need to outsource the building of an IT infrastructure that is compatible with your own cloud server; a prohibitively expensive endeavor. The subscription-based model of pricing used by nearly every enterprise system is highly conducive to scalability, which means your only expenses would be operational – instead of capital expenditures. In sum, cloud monitoring is the wave of the future – and you can get a head start in the present. It reduces power costs, capital expenditures, overhead and maintenance. All of this while improving the reliability and agility of your IT infrastructure.